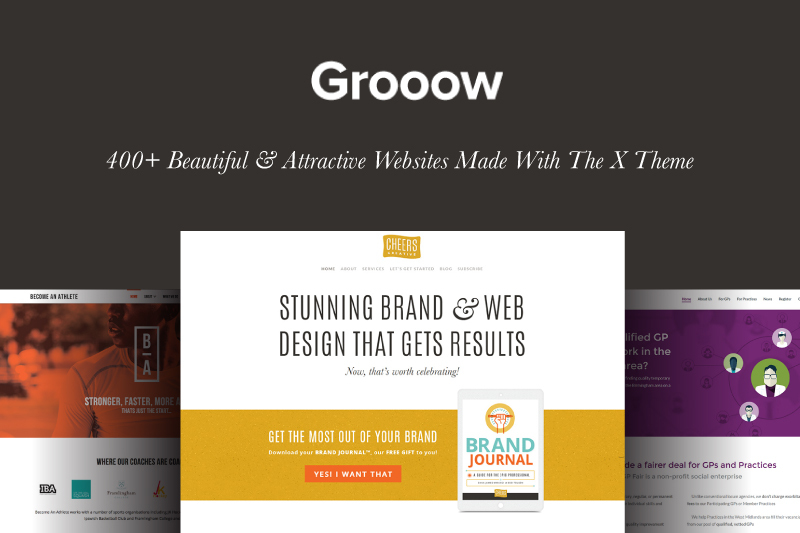 Grooow.io is a great online resource for people what to build websites that convert. One of their favorite tools (as wells as ours) is the X WordPress theme. Out of the 400+ websites featured in the official X Theme Showcase, the folks at Grooow.io highlighted their favorite top 20, which includes our website! Check out the entire showcase of Grooow.io’s faves here. By the way, have you downloaded our Brand Journal yet? Use it and spend some time today to uncover your brand strengths and clarify your mission. Download it here! Ready to set your brand up for long-term success? © 2018 CHEERS CREATIVE LLC. All Rights Reserved. ©2018 CHEERS CREATIVE LLC. ALL RIGHTS RESERVED.